Coffee to TheoremsCoffee to Theorems - Page 5 of 5 - Scott Farrar - thoughts on teaching, technology, education, and math itself. I was over at Tom’s the other day. We were talking about Blu-ray and HDDVD and how movies will inevitably be re-released forcing consumers to either cope with the fact that they do not have the pinnacle releases of their favorite movies, or to take cash against a sea of discs, and by conceding, buy them. Sidenote: how much clearer can a movie like the Simpsons get? Whilst I was making fun of Tom for having multiple copies of some movies in his collection already (Princess Bride, Star Wars… ) he mentioned that there was yet another release of Princess Bride. I was ready to add another $40 onto the running tally (yeah, I keep a tally of close friends’ leisure expenditures in my head, you wanna fight about it?) he mentioned how the cover of this latest release was quite interesting. If you rotate the cover 180 degrees, the title reads the same way. Thus they have created an rotational Ambigram. Just like the words suns and dollop, it is symmetric under a rotation on the z axis. (z positive is coming out at you, z negative is looking directly into the screen). HICKOK DIED DEC 3 1883 — DOC BEECH DECIDED HE CHOKED. Imagine the 1 has no little doohickeys on it. I actually saw this at Asilomar during Harold Jacob’s presentation. Ambigrams have actually become more popular recently with Dan Brown’s cover for Angels and Demons. Dan Browns books are nice for inciting a little pop-math fever, they aren’t exactly rigorous… but they did lead to a re-release of John Langdon’s (he being the basis for the Da Vinci Code’s protagonist) book Wordplay. Anyway, this got me thinking… is this a key to more hidden elements in Princess Bride? The 180 degree flips of Wesley and Inigo’s dominant hands during their duel suddenly seem more mathematically significant. This scene is actually called “swordplay/wordplay” on DVD chapter selections. Dun dun dunnnnnnnnnn…. Many people have seen, or even made, drawings or illustrations depicting song lyrics either sincerely or sarcastically. 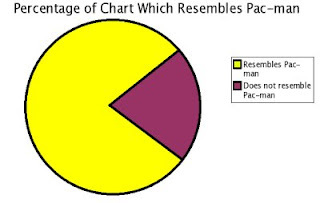 But how many have made accurate data representations of pop culture? I will share with you some examples. 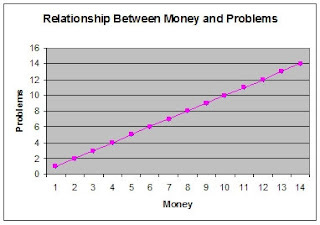 Biggie never said anything about it being linear though… he merely asserted that for the function f:money->problems, f'(x) > 0 for all x. Using a square piece of paper, label each side 1 unit long. Find the midpoint of the top side by folding in half. Take the bottom right corner and fold it up to touch the midpoint of the top side. This creates three triangles. ABC, CDE, EFG. Determine the side lengths of all three triangles. This was a nifty little problem given by Harold Jacobs at Asilomar 2007.